The annual Pauline and Joseph Degenfelder Lecture brings nationally and internationally recognized experts in the field of art history and archeology to discuss new scholarship, museum exhibitions, and archaeological discoveries in Chinese art. The annual Pauline and Joseph Degenfelder Lecture is made possible through the Pauline and Joseph Degenfelder Family Endowment Fund. The spectacular Buddhist caves of Dunhuang, on the Silk Road in the Gobi Desert in northwest China, are a UNESCO World Heritage Site. 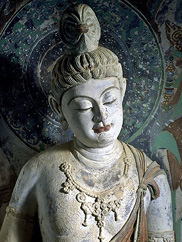 This lecture presents the sites’ sculptures and wall paintings, among the finest and earliest examples of Buddhist art in China. 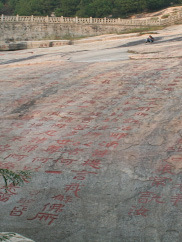 Sometime between 560 and 580, Buddhist monks engraved the names of Buddhas and passages from their holy scriptures on the bare rock of mountains in present-day Shandong province in northeastern China. With this “land art,” they transformed their homeland into the realm of the Buddha. This lecture explores these monumental carvings, which are unique in world art. 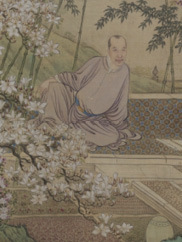 Spanning a thousand years of Chinese art from the eighth through the seventeenth century, the lecture will examine multiple layers of meaning—style, technique, symbolism, past traditions, and the artist’s personal circumstances—in the treatment of landscapes, flowers, birds, figures, religious subjects, and calligraphies in order to illuminate the main goal of every Chinese artist: to capture not only the outer appearance of a subject but also its inner essence.